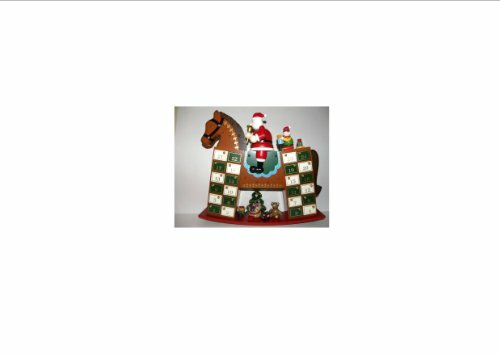 Advent Calendar: Rocking Horse with Santa and Elf. Includes 24 hanging ornaments to count down the days to Christmas. Drawers store ornaments until ready to use. Manufacturer: Zhejiang Huangyan Linfeng Handicraft Co. Publisher: Zhejiang Huangyan Linfeng Handicraft Co. Studio: Zhejiang Huangyan Linfeng Handicraft Co. If you have any questions about this product by Advent Calendar, contact us by completing and submitting the form below. If you are looking for a specif part number, please include it with your message.